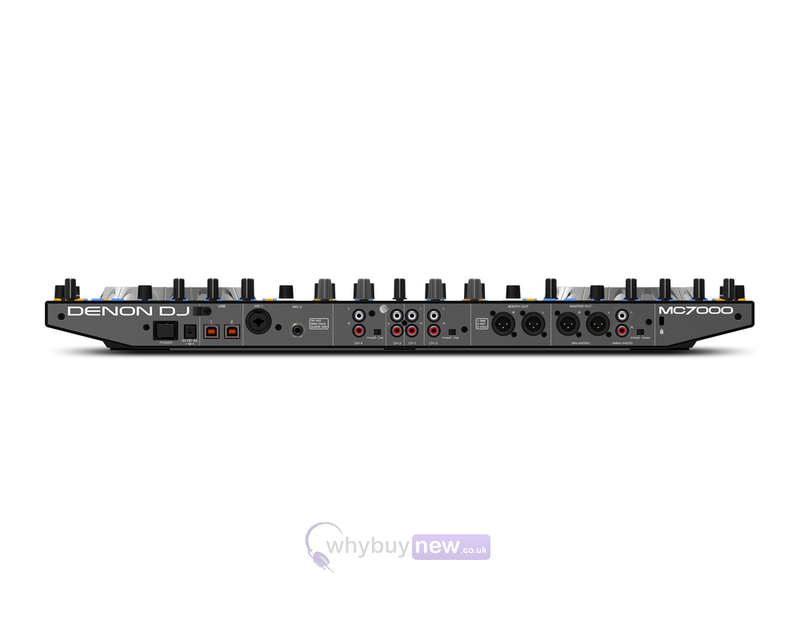 The Denon MC7000 is a portable 4-channel DJ controller for Serato, with dual USB connections which allows you to connect to two laptops at the same time. 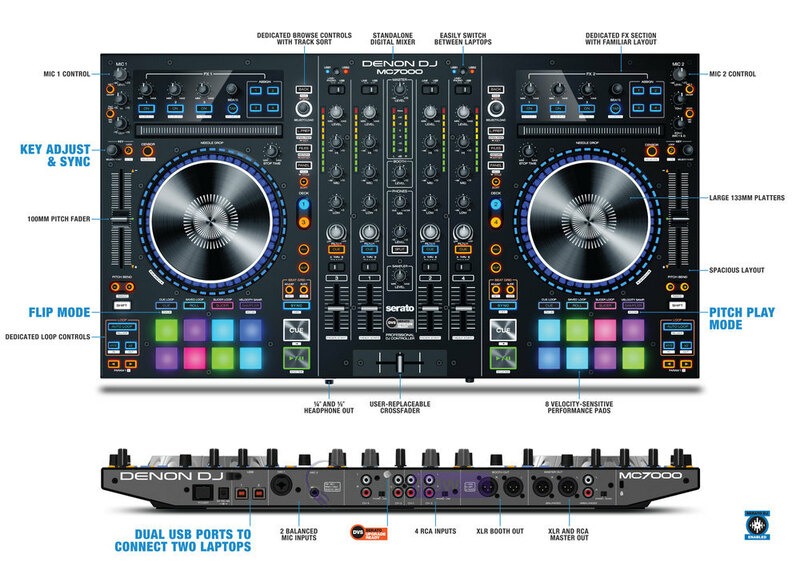 The two USB interfaces enable two DJs to play together or 'hand off' in a truly seamless, uninterrupted manner. Coupled with Denon DJ's legendary build quality and superior audio reproduction, this is a no-compromise controller perfectly suited to mobile and club DJs looking for the next evolution of Serato controller. 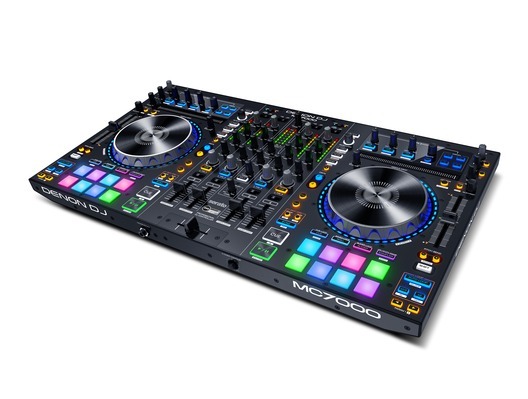 The MC7000 also includes the full version of Serato DJ, plus, 3 creative expansion packs (Pitch 'n Time, Flip and Video), enabling DJ's to empower their musical, remix and visual style - to the max! The dual 6-inch platters have a touch-capacitive design with rotational LED displays, giving a DJ maximum feedback to optimize track manipulation performance in real time. The MC7000's new, exclusive and dedicated Key Matching and Changing controls give the DJ an unprecedented ability to instantly and harmonically match musical keys, resulting in an enhanced audience and dance floor experience. 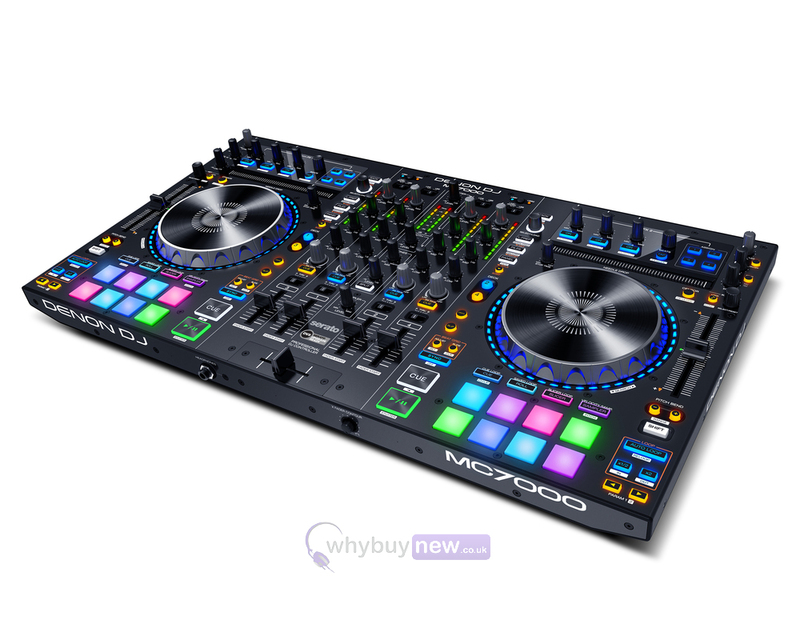 In addition, the MC7000 is Serato DVS Upgrade Ready, giving DJs the power to mix a program of digital music sources with the elegance and accuracy of legacy vinyl control. The unit's comprehensive, multi-input mixer also allows DJ's to access line/phono inputs from both authentic analog (vinyl) and digital sources for a perfect blend of content and sound. Now you can express yourself musically like never before - Serato's P'NT plug-in empowers the expressive use of 'Pitch Play' techniques, and it's unique to Denon DJ hardware. Simply grab a cue point and 'play' it up 'n down in musical key, so you can wow your audience with your creative tone play. You can also use the MC7000's 'single press' encoder to instantly match the key signatures of your tracks to create beautifully harmonic mixing. Ever wished you could add a special drum intro to that killer track that doesn't have one? Or perhaps you fancy moving that favourite section of a track around, or maybe even repeating it? With Serato Flip expansion pack, you can remix your tracks either live 'on-the-fly', or prepare them in advance with your unique special edits. Take charge of your remix with Serato Flip! Stimulate your audience and take control of creative and stunning video mixing. The Serato Video expansion pack enables glorious video transitions, in-depth FX blending, plus you can integrate your own promotional graphics too. You can also add custom visuals to existing video files in your library for the ultimate visual expression. Go beyond audio and make yourself a true VJ too. Here we have the Denon MC7000 in brand new condition and in B-Stock. The B-Stock versions would have been on display at a training evening or trade exhibition only and will come boxed 'as new' with all accessories and a 1-year warranty. Took a gamble on a refurb due to the price differential. Product arrived in excellent condition. It had been out of the box before but was clean and scratch free. Big smile. Started to use it with MacBookPro and Serato. Great for a few seconds and then crackling started and continued to get worse until the music was inaudible. Power cycling fixed it but then it started again. Panic. I needed it in working condition in a couple of days time for a huge gig (my old mixtrack controller had died). Headed over to the web and found a firmware update for it to fix a static with Macs. Patiently applied to firmware and watched the flashing lights on the controller. To be honest, I wasn't expecting this to fix it but it did.Spent the next few hours when I should have been sleeping playing / learning how to use it. Wow it is amazing. Sound is top notch. Sliders are sweet. Also great is that you use it without a laptop so long as you have an iPod , cdj or turntable plugged in to channels 3 or 4. Love the XLR outputs for main and booth. It is a big unit compared to mix track pro's and the like but there is space to move around. Will lose more sleep having fun with this at home and I feel I can trust it on the road. At this time I couldn't want any more from a controller. I bought the mc7000 as an upgrade on my mc6000mk2 & I thought the 6000 was good but the mc7000 is aewsum with the 24bit sound card. Mic channels are amazing,layout perfect with a lot more space, build quality usual demon standard only reason I didn't buy mcx8000 is I didn't want stand alone. Setup with my virtual 8 was easy. Loving it! I just love this controller. When I received it, I thought I would have a steep learning curve as I've only ever used a basic controller. This baby is so easy to use. 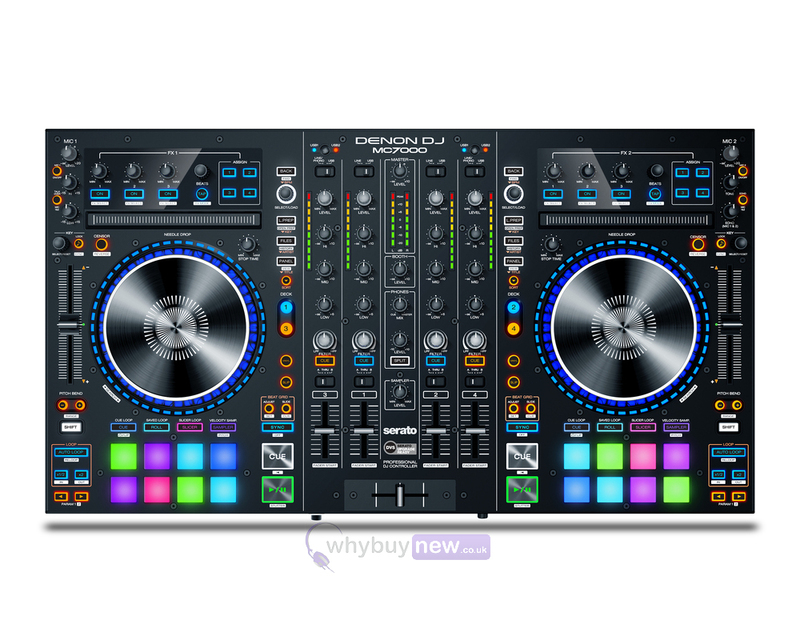 I prefer using it with Virtual DJ rather than Serato, so much more you can do with it in my humble opinion. Best piece of equipment I've ever purchased. 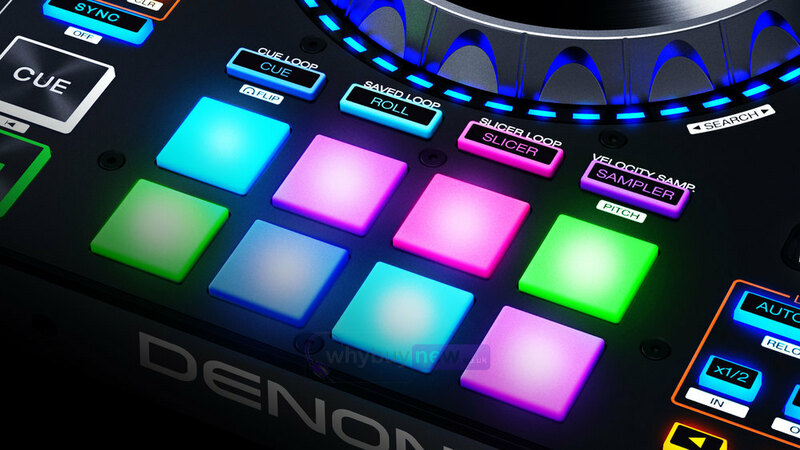 Well done Denon. Only had just over a week but really love this controller. Does what it says on the box and the dual usb works flawlessly. Very good all round controller!! !